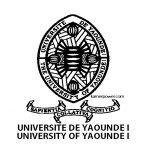 The Minister, sport authorities, students and visitors watched the finals of the football match in which the University of Yaounde I emerged the winner. The University of Bamenda will play host to other universities in the 20th Edition of the games scheduled to take place next year, 2016. Therefore the 20th Edition of the University Games 2017 in Cameroon will be hosted by The University of Bamenda.